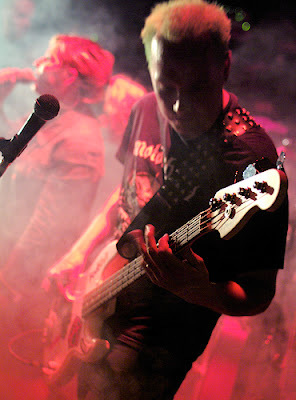 Under my alternate ego, Duane Chaos, I play in several bands (22nd Century and Stress Factor 9 to name just two). One of those, 22nd Century, just released some new mixes on the Music 2.0 social site Mix2r. Mix2r.com allows you to take these songs, download them and add your own tracks to them or remix them. Regardless, consider taking a listen to the most recent post - the hard rock song "Nightmare on 6th Avenue". I put down bass, lead guitar and vocal tracks on this song. It has a kind of snotty, in your face and get out of my face feel. Anyone know of any battle of the bands happening at Tech Conferences? I'd love to go and represent Adobe! The O'Reilly book Web 2.0 Design Patterns cover. The “Web 2.0” phenomenon has become much more pervasive in 2007 and is impacting the very fabric of society. Web 2.0 presents opportunities to those who understand the core design patterns. These individuals are racing to cash in while Web 2.0 companies like Google see their stock pass $600 a share. 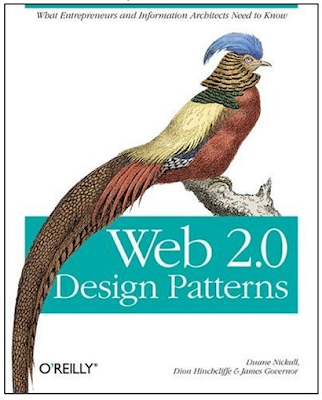 This book focuses on the core design patterns behind Web 2.0. Those core design patterns are supplemented with an abstract model and reference architecture. The result is a set of artifacts that developers, business people, futurists, and entrepreneurs can understand and use. Anne has noted, as we wrote in the O'Reilly Web 2.0 Design Patterns book, that a pragmatic analysis of Web 2.0 will help people really understand what is going on. She also noted that things many people think ARE Web 2.0 (such as Rich Internet Applications, SOA, Mashups, and SaaS) are in fact only technologies or specific design patterns. Web 2.0 is an attitude and also a social movement towards the new model whereby users are a core part of the interaction (and architecture to some degree). The client-server model has truly evolved into a new model for Web 2.0 as shown here. “Don't treat software as an artifact, but as a process of engagement with your users." Both Anne and fellow Burtonite Chris Haddad also noted that Enterprise 2.0 is really an adoption of the core patterns of Web 2.0 by enterprises. In my opinion, this has accelerated greatly in the last eight weeks as large companies are struggling to adopt the whole Web 2.0 phenomenon. I am looking forward to more on Web 2.0 from Burton. For the O'Reilly book Web 2.0 Design Patterns, co-authors James Governor, Dion Hinchcliffe and I have done a lot of research on the relationships between SOA and the core patterns of Web 2.0 such as mashups. Charlton Barreto has written a great post on this topic here and I also recently gave a keynote for the International Conference of Service Oriented Computing on this relationship. The presentation is here - please feel free to poach any slides you want and claim them as your own. Nevertheless, until the book comes out, the full depth of this relationship has probably not been explored in detail in a publicly available format. Mashups rely on SOA infrastructure. Mashups are a specialized type of client that consume two or more services however there is more to the relationship. Other aspects are the adoption of the core MVC (Model-view-controller) pattern and the ability to allow users to make their own graphical representation available. These are common traits amongst the best mashups. My friend Stephan Andreasen of Kapow (who also shares an interest in good wines), has probably done some of the greatest work in this realm too. Network World recently interviewed me regarding recent developments in the OASIS Service Component Architecture (SCA) and why it is important to enterprise SOAs. 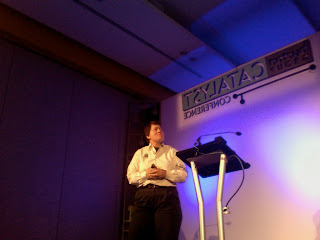 The interview was conducted by Network World’s New Data Center Editor Beth Schultz.